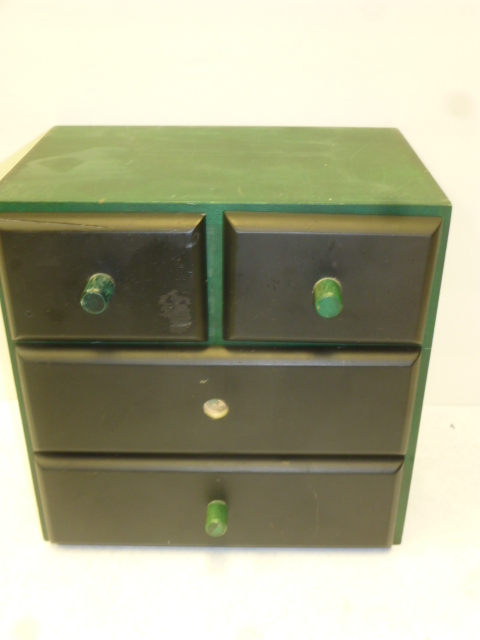 A missing knob and such dark and dreary colors on this otherwise very sturdy and nicely made little jewelry size chest. FIRSTLY, I had to address that missing knob. I WANTED to remove ALL the knobs and put on all new ones. Alas, the others would NOT budge; so I had to create a matching one. A little wood peg and a bit of sanding and some glue was all that took. 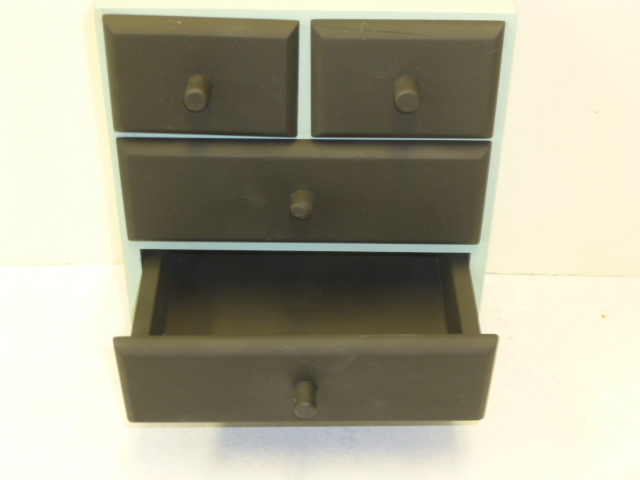 I had repainted the drawers black in order to match the replaced knob, and decided to leave them black; for now at least. 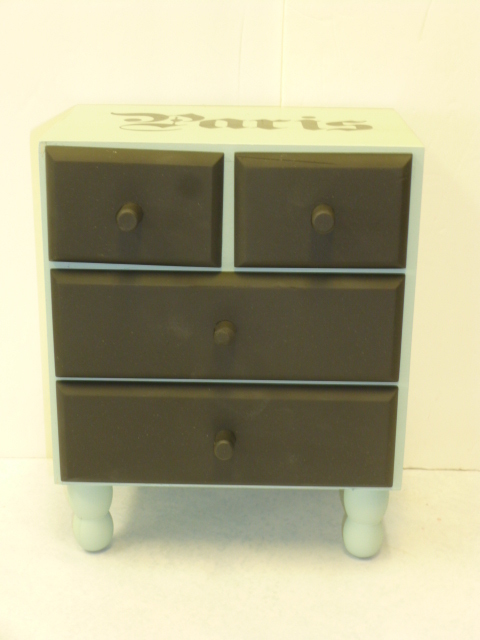 If I decided I didn’t like the drawers black, I could always go back and repaint them. So then I started on the chest part, giving it a good sanding first. 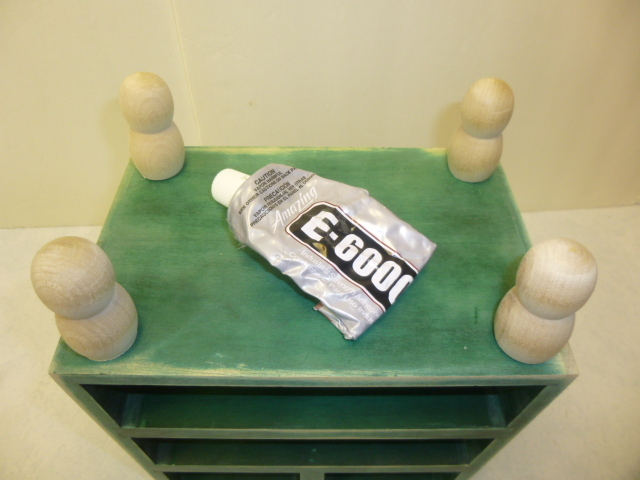 You KNOW how I love ‘feet on things’, so I gave it some little feet; glued on with e6000. I painted the chest and feet aqua. 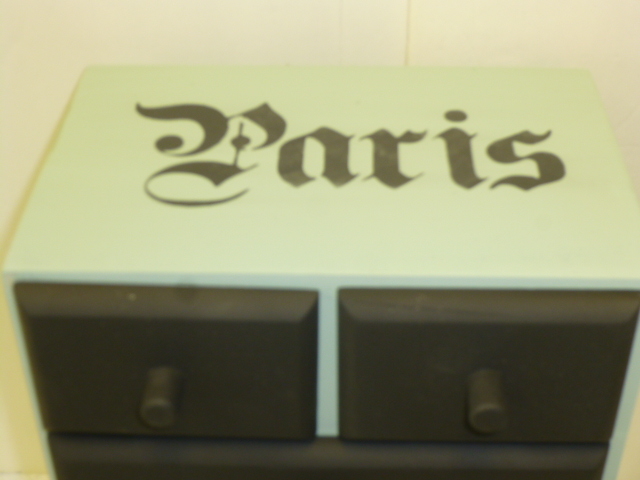 Stenciled “PARIS” on the top. 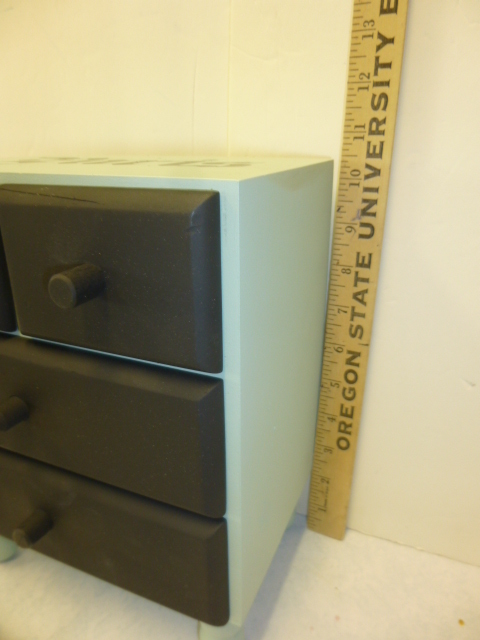 Pretty good match on the knobs, eh? I’m still not entirely ‘sold’ on the two-tone look. I see it SO often on Pinterest and have really been wanting to try it out. Better to try it on something small first. This will be going to my booth st Stars in the near future. 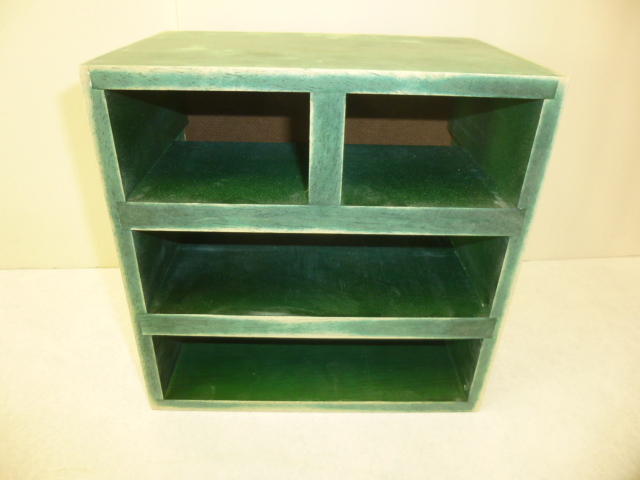 Love the two-tone look on this one. Very classy and chic!